Of course I am dying for this one! I just need to know... Roth or Zayne! 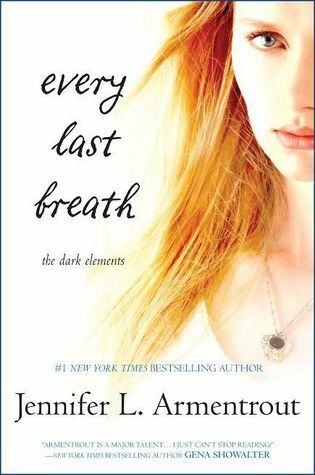 Every Last Breath will be released on July 28, 2015. Great choice, Teresa. I'm waiting on this one too. Can't wait to find out who Layla picks. At first I wanted it to be Roth because I like the bad boys. Now I'm not so sure. Zayne's pretty great too. Oh well, I guess we'll find out soon. YES!!! This will be one I wait anxiously for and then once it comes out I will basically ignore all things on the internet until I have it finished! So excited for this one, and I hope she picks Roth!! Great pick! Ooo, definitely excited to read this one. I actually haven't read Stone Cold Touch yet because I haaaate love triangles and I refuse to read all about Zayne especially if book three goes in his favor -_- I'm weird like that. I hope you enjoy this book when you read it! Must HAVE!!!! I love this series I'm keeping my fingers crossed for Roth! I may need you to read this one and let me know what happened. Hahaha. I am terrified my ship won't sail and I'll be crushed. I am waiting on this one as well. Or really any JLA book. I am hoping that she picks Roth.